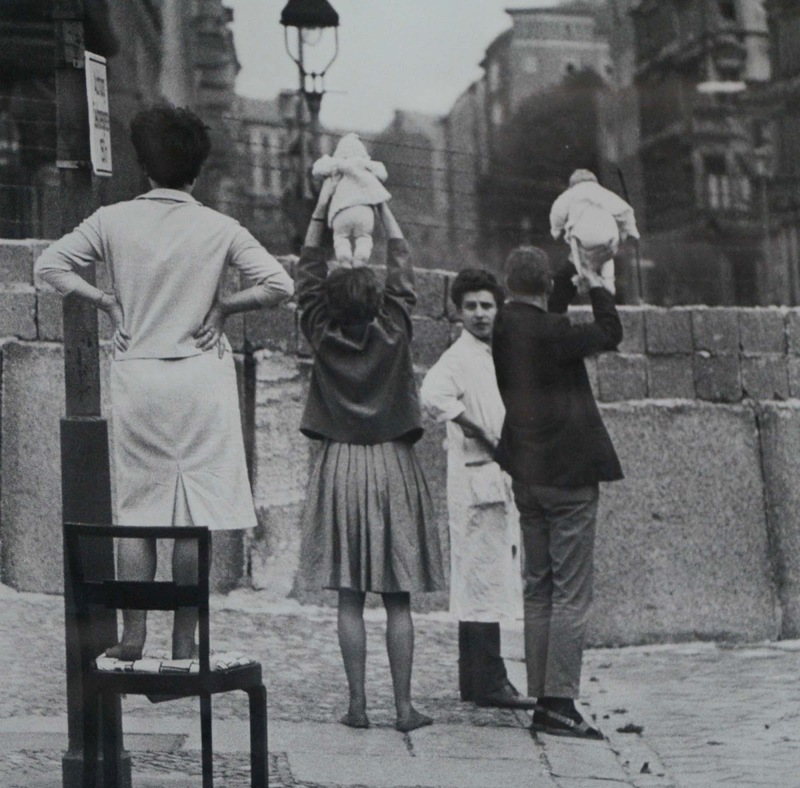 The building of the Berlin Wall in August 1961 divided families and neighborhoods in what had been the capital of Germany. The Wall represented a uniquely squalid, violent, and ultimately futile, episode in the post-war world. Life was changed overnight in Berlin. Streets, subway lines, bus lines, tramlines, canals and rivers were divided. Family members, friends, lovers, schoolmates, work colleagues and others were abruptly separated. In some cases, children who had been visiting their grandparents on the other side of the border were suddenly cut off from their parents. Up until 1953, the lines between East Germany and the western occupied zones could be easily crossed in most places. Then the inner border of East Germany closed. Berlin became the main route by which East Germans left for the West. The Berlin sector border was essentially a “loophole” through which East Bloc citizens could still escape. The 3.5 million East Germans that had left by 1961 totaled approximately 20% of the entire East German population. The loss was disproportionately heavy among professionals—engineers, technicians, physicians, teachers, lawyers and skilled workers. In 1961 West Berlin became an island completely surrounded by East Germany. West Berliners initially could not visit East Berlin or East Germany at all. All crossing points were closed to them between 26 August 1961 and 17 December 1963. In 1963, negotiations between East and West resulted in a limited possibility for visits during the Christmas season that year (Passierscheinregelung). Similar very limited arrangements were made in 1964, 1965 and 1966. In 1971, with the Four Power Agreement on Berlin, agreements were reached that allowed West Berliners to apply for visas to enter East Berlin and East Germany regularly, comparable to the regulations already in force for West Germans. However, each visit had to be applied for individually and approval was never guaranteed. Please share these photos with anyone who thinks a wall will seal the border or is a good idea. Is this the kind or America we want to live in?